How would you sum up Takeover day? 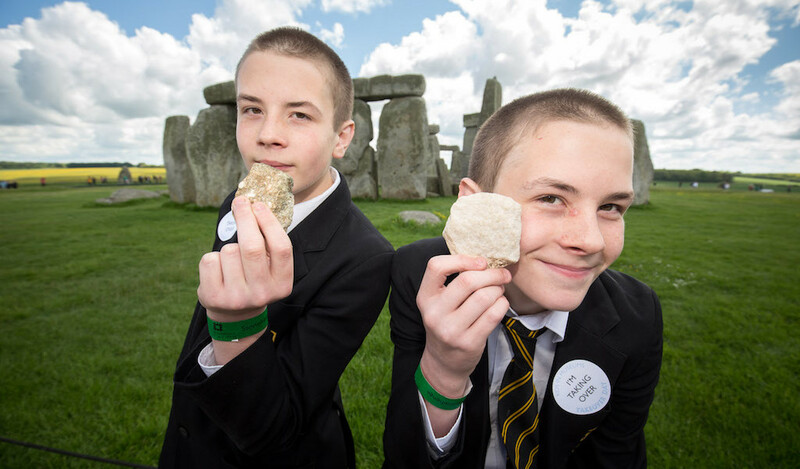 Takeover Day is a celebration of children and young people’s contribution to museums, art galleries, archives, libraries, arts organisations and heritage sites. It’s a day on which they are given meaningful, powerful and decision-making roles, working alongside staff and volunteers to participate in the life of the organisation. Takeover Day takes place on one day every November but organisations also take part at alternative times of the year to embed takeovers in their regular programming. Takeover Day is a flexible model which can involve from one to 100 plus participants and works with tiny volunteer-run museums to large national organisations. 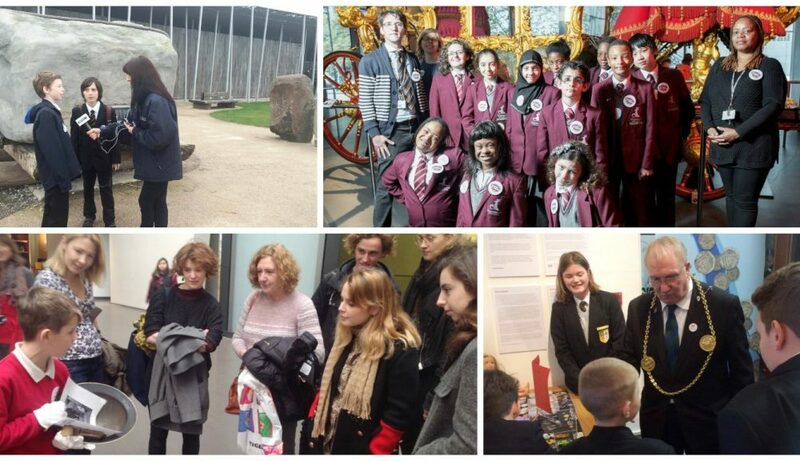 Takeover Day 2015 was the biggest initiative to involve young people in cultural organisations across England, with over 150 venues and over 4,000 participants. Kids in Museums is focusing on further ways to involve young people and have a strong youth presence and youth voice. We are looking at ways to diversify the workforce and strengthen skills in the museum sector. We are also expanding pilots started last year. For example, young people are invited to take over M+H Advisor as journalists for the day. They will write articles, blogs and tweet about their Takeover Day and then edit the work to be posted online. In addition, nearly 400 teens took part in Teen Twitter Takeover which was a simple and effective way of introducing teenagers to the museum. Young people sometimes get a bad press but Takeover Day demonstrates that if they are trusted, they rise to that responsibility. They contribute fresh ideas and new perspectives so that the impact is positive for both the young people and the organisations involved. In what ways is the event growing and how have you been able to reach out to new audiences? Takeover Day takes place in England and Wales. One of the ways we have reached out to new audiences in Wales is through Communities First groups. Communities First is the Welsh Government’s Community Focussed Tackling Poverty Programme. The programme supports the most disadvantaged people in the most deprived areas of Wales with the aim of contributing to alleviating persistent poverty. Museums and galleries were supported with the Kids in Museums resource. Takeover Day sees young people act in roles as tour guides to curators and welcoming the public to running events in museums and galleries. Another way we have reached out to new audiences is through running Takeover Day Planning and Sharing events for museum staff across the UK in the Arts Council’s five focus areas, North, Midlands, South East, London and South West. There has been an increase in the numbers of takeovers in South West England and West Midlands and a more even spread across the UK. Feedback has been very positive with many organisations planning to do Takeover Day for the first time. Cultural and heritage organisations across the UK handed their twitter feeds over to teenagers on 12 August 2016 for Teen Twitter Takeover. 73 museums and over 360 young people were involved in this successful event which empowers teenagers and gives them a voice. Our How can Teenagers Takeover our Twitter Feed? Factsheet and TweetSheet Template helped museums invite a group in and get them tweeting. Many organisations used Teen Twitter Takeover as a springboard into working with the same group on a wider project for Takeover Day (more information on Takeover Day can be found here). This project helps museums to put young people’s voices at the heart of the museum, demonstrating trust. See what happened in 2016 by reading the Storify here. What benefits do the kids and cultural organisations get from Takeover Day? Takeover Day is important as it enables young people to do everything. Whether it’s being tour guides, front of house, pest controllers, curators, conservators or working in the cafe, they are in charge. Takeover Day is inclusive and encourages diversity, working across the UK to reach harder to reach groups and to help actively tackle poverty through culture. It’s great fun, a brilliant profile-raising activity and helps organisations understand their young visitors better, enabling staff from different departments to work together. Kids in Museums’ Takeover Day gives confidence and encouragement to young people, in particular teenagers, who might think a museum isn’t for them. It gives them a role, a place at the heart of events and makes them feel museums are for them. Evaluation reports highlight the positive impact Takeover Day has on young people’s health and well-being. Takeover Day provides a framework to put young people at the heart of an organisation and it provides national press interest. When a Takeover Day is held on the official date it gives a collective voice, and organisations will shout about their good work with everyone else and therefore show the nation how important museums and galleries are and how they are integral places for the community. How have you been developing the resources to make setting up a Takeover Day event as easy as possible? We have streamlined our resources and developed a new Takeover Day Factsheets Pack which includes everything you need to run a successful Takeover Day. We still produce free certificates and youth packs for all Takeover Day participants and you can order posters, stickers and packs here. We are in the process of tagging our many Takeover Day case studies to make it easier to search for particular areas of interest. We have also run over 12 planning and sharing meetings across the UK to discuss ways Kids in Museums can support museum staff with our resources to run a Takeover Day and to share best practice. We are working with partners Xponia to enable children to curate interactive tours. Participants can experience the free Xponia museum app if they have registered for Takeover Day 2016. Children are invited to be the curators on Takeover Day and design a special guided tour for the museum using objects from collections. The user-friendly content management system lets them easily create interesting tours and quizzes with the chance to upload their own description for objects. In what ways do you see Takeover Day developing in the future? One of our key messages is that we’d like to see Takeover Day becoming “more than a day” and takeovers taking place throughout the year and becoming embedded in organisations’ programming activities. We’re looking at ways to enable diversification in the workforce and to strengthen our social media potential through initiatives such as an Instameet. We are developing a Takeover International model and also city wide Takeovers as well as ways to involve our fantastic team of volunteers as Takeover Day Ambassadors. 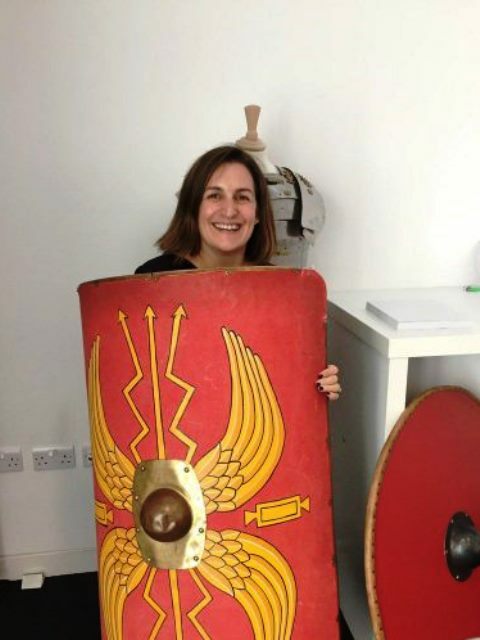 To find out more about Takeover Day – who has taken part and our free resources and downloadable case studies – go to kidsinmuseums.org.uk/takeoverday. At the British Museum, students from Argyle Primary School will be taking over the Families Desk helping families to find out what’s on offer for them at the Museum. Students from Frank Barnes School for Deaf Children will be supporting Visitor Services staff as they show people into the Sunken Cities exhibition using BSL and spoken English. In the Clore Centre for Education, young people from Westminster College will be delivering workshops for younger students. In addition, across the Museum, a group of students from Richard Cloudsley special school will be working as Artists in Residence creating pop-up art installations in the Great Court and the Sunken Cities exhibition space. A Year 6 class from Blenheim Primary School will be taking over the running of ‘Tiny Tigers’, a free, weekly craft session at the museum for children under 5s and their adults on Friday 18th November. They will visit the museum 2 weeks before to design and create craft activities. They will take on roles of activity zone leaders, play ambassadors, evaluators and readers. The Museum is currently closed and undergoing a major transformation but will be hosting a Twitter Takeover Day, with formal learning at the heart. The Museum’s learning team will work with three schools, in partnership with the Houses of Parliament, to host a debate on whether ‘Your country has the right to make you fight’, to coincide with the anniversary of widespread conscription being implemented 100 years ago. The museum will be taken over by three students from a special communication college. Each year, the museum lowers glass chandeliers at its Regency mansion at Normanby Hall Country Park and each glass link is removed and cleaned. This conservation work will be done by three students supervised by the Hall’s housekeeper. A local Primary school class has worked with the museum to curate their own Cabinet of Curiosities. This has included picking their own objects to display, and writing accession and object display labels for them. On Takeover Day, the children will come to the museum to tell visitors about the objects they have chosen, their involvement in the project and help visitors write their own accession and object display labels for items from the museum’s Handling Collection. St Paul’s are doing a pilot programme with Year 7 pupils from St Paul’s Cathedral School. They will be greeting visitors, co-leading tours, assisting in the services and prayers throughout the day, chairing meetings, taking over twitter, planning activities for visiting families, and hopefully also conducting the choir during evensong. If it goes well, in future years St Paul’s hopes to work with other local schools. Time and Tide will work with local young people who have English as a second language. The museum will work in partnership with GYROS who support newcomers and migrant communities in the Great Yarmouth area. A group of ten young people will work together over a six week period to research and create a pop up exhibition and museum trail. They’ll work with museum professionals, and translators to interpret their objects both in English and their first language and an artist to design a trail and exhibition panel. 12 young people are going to meet a number of staff across the University of Cambridge Museums and interview them about their roles and pathway. They are going to work with a filmaker to create a short documentary for the University website that other young people can access if they want to learn about museum jobs.